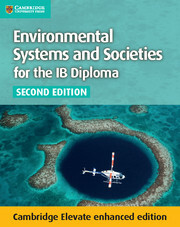 Environmental Systems and Societies for the IB Diploma, 2nd edition, encourages critical and reflective thinking skills and promotes international-mindedness. ESL Speakers are supported throughout with a focus on vocabulary and straightforward explanation of topics appropriate for SL students. 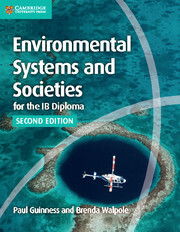 Real-world case studies bring theory to life and motivate students to delve into current global issues. Theory of Knowledge is integrated throughout with added discussion points to spark debate in class. Exam-style questions build skills on analysis, evaluation and interpretation. Additional teacher support offers help with planning lessons, differentiated learning and guidance about the Internal Assessment, fieldwork, exam preparation and Extended Essay.